I'm so glad you've traveled the internet and found my FREE coloring page! 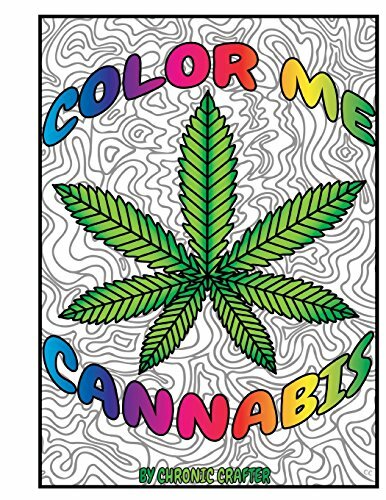 I've made the coloring book called "Color Me Cannabis", it's filled with 40 fun marijuana themed pages for you to color and draw on! I'm giving you a free page from this book so you can give coloring a try. I recommend coloring the page with either markers or pencils crayons. You don't need any fancy or expensive ones, Crayola brand will do. Save the image below to your computer, print it off, spark up then color!